Bill Hybels is one of today’s most respected voices on the subject of leadership. The bestselling author, founder, and senior pastor of Willow Creek Community Church and host of the world-renowned Global Leadership Summit is also a much-in-demand speaker on leadership and mentor to leaders around the globe. 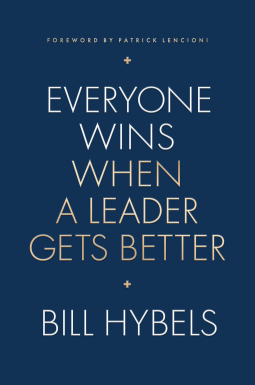 In Everyone Wins When a Leader Gets Better, Hybels shares his top leadership lessons from a remarkable lifetime of leading others. A must-read for experienced and emerging leaders alike, this book is filled with wisdom, stories, and practical insight. Learn from a legend how to become a stronger, more God-centered leader in whatever sphere you influence.